Farrar, Straus and Giroux (BYR), 9780374303280, 40pp. Peep says it’s time for Egg to start using the potty. But Egg does not want to use the potty—and no amount of lemonade-drinking, running water, or toilet-paper tutus can change that! When things start to get a little uncomfortable, Egg realizes that when nature calls, sometimes you can't say no. 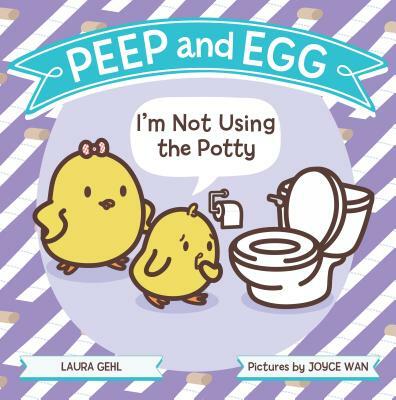 Peep and Egg: I'm Not Using the Potty is the fourth book in the Peep and Egg series, and will be relatable to parents and children alike.